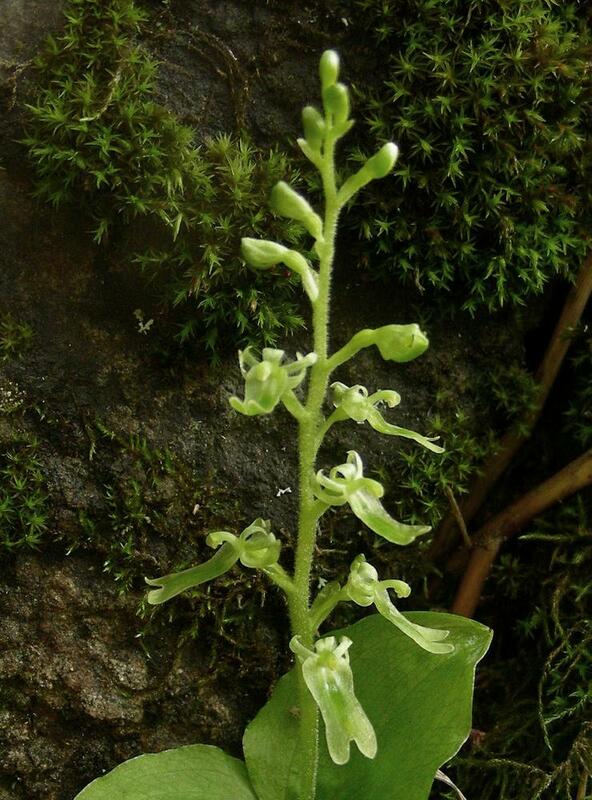 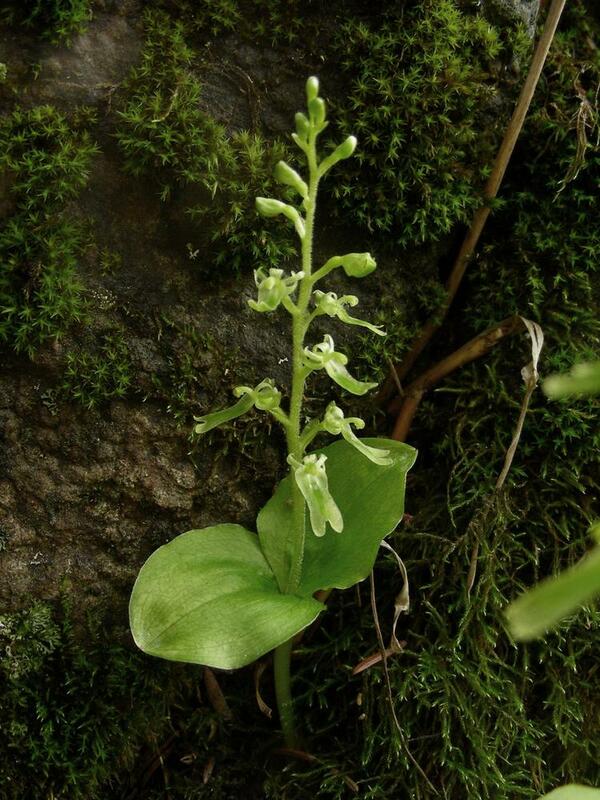 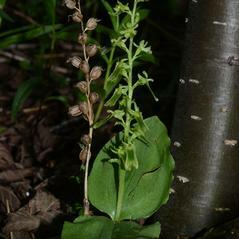 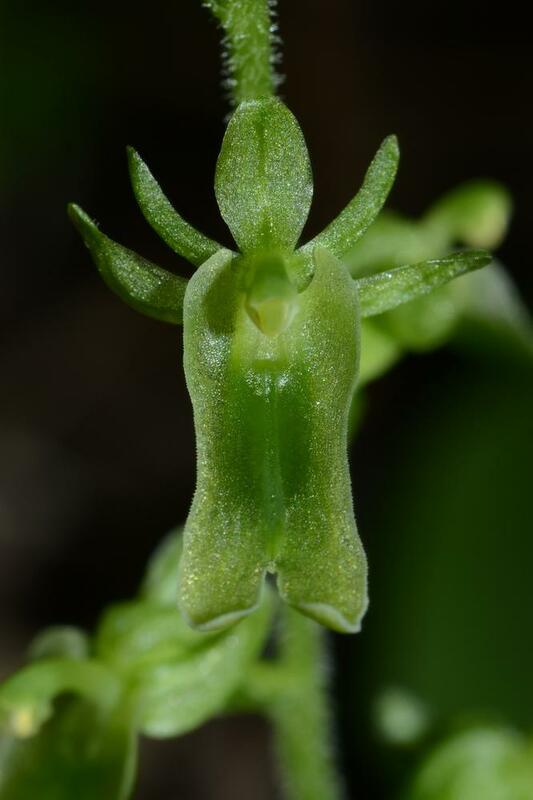 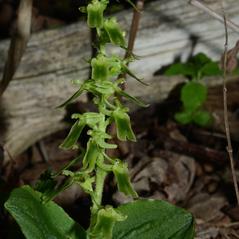 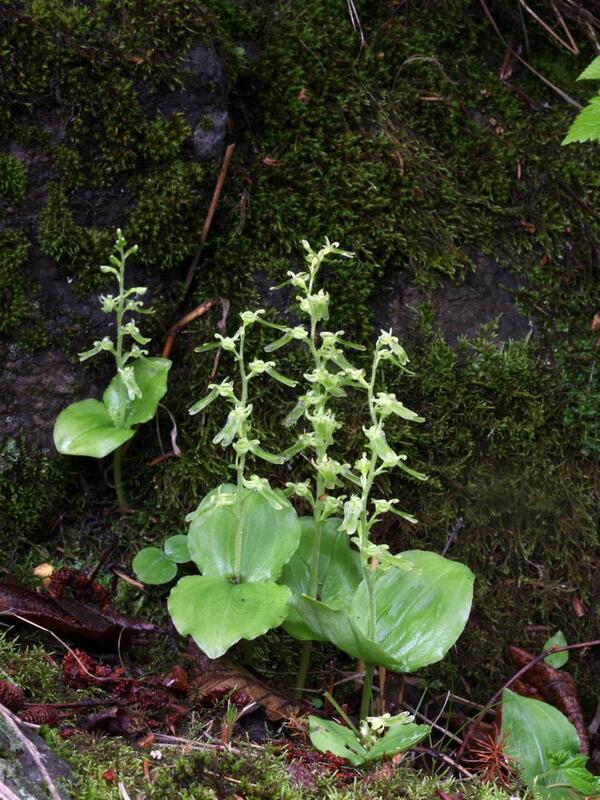 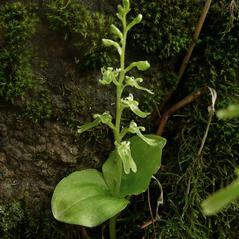 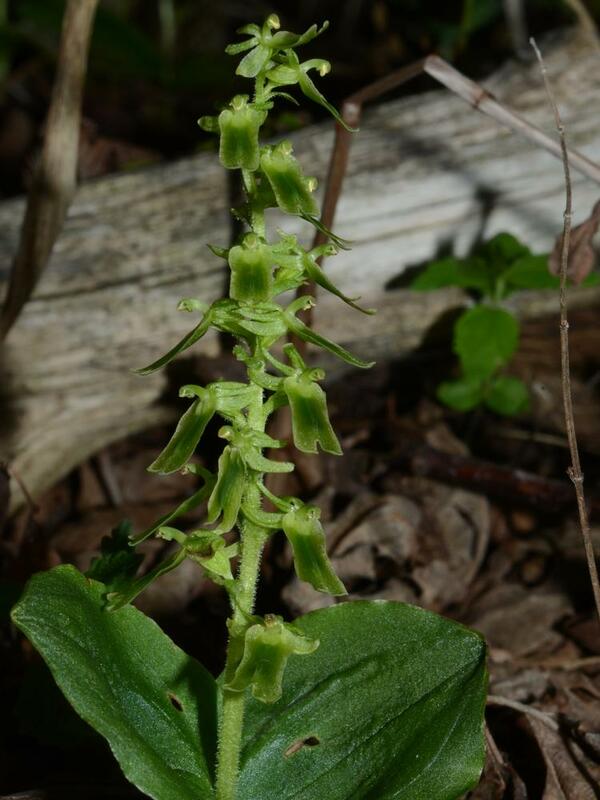 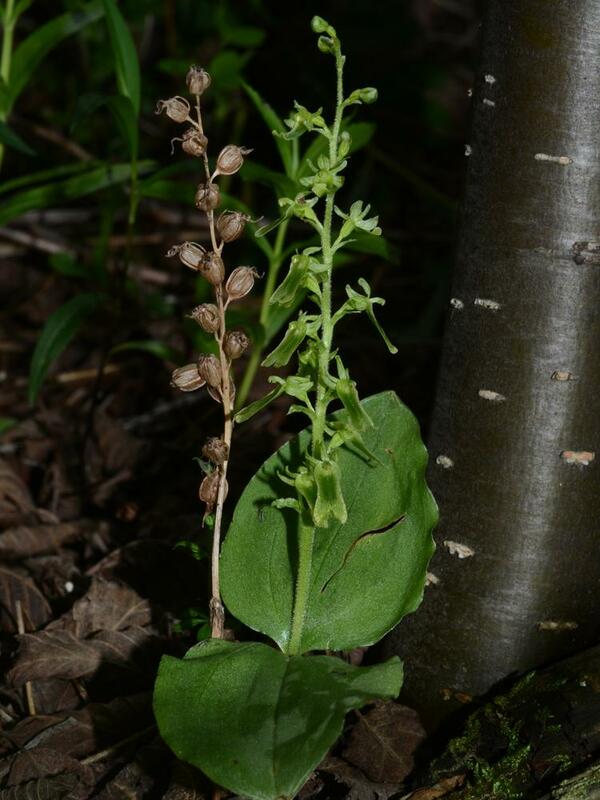 Neottia auriculata, commonly called Auricled Twayblade, has a limited distribution across the northeastern and northcentral United States and Canada, from Minnesota to Newfoundland. 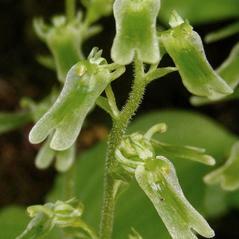 It produces two ovate leaves which are attached on opposite sides of the stem, slightly below the inflorescence. 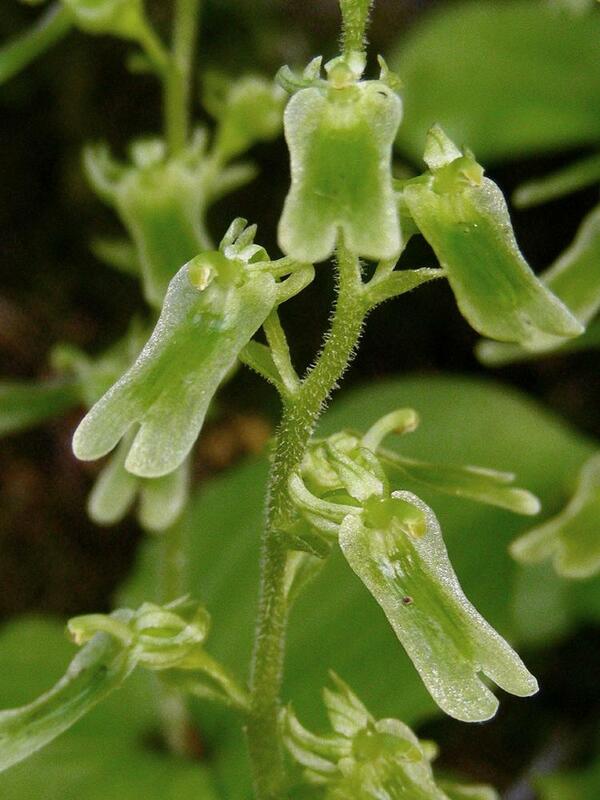 When it flowers in mid to late summer, it produces up to 20 pale green or blueish green flowers. 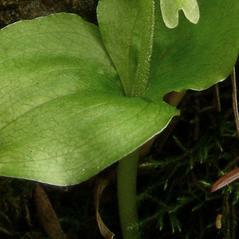 The labellum is elongated and flat, ending in two pronounced, forked lobes. 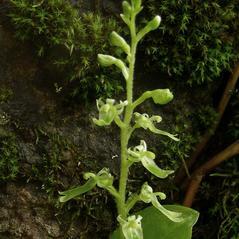 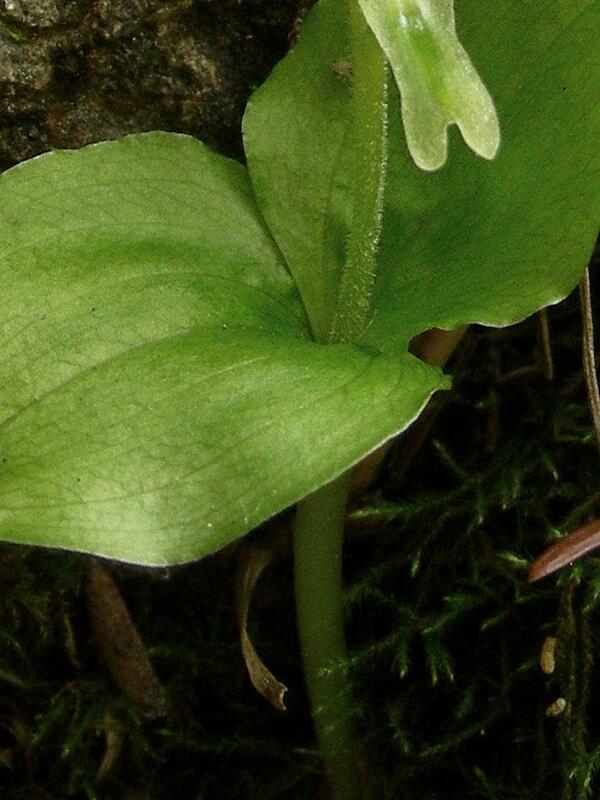 It can be found in moist coniferous or mixed forests, swamps, sphagnum bogs, and along riverbanks. 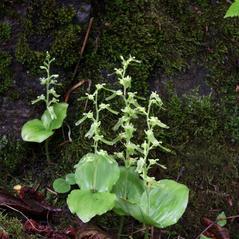 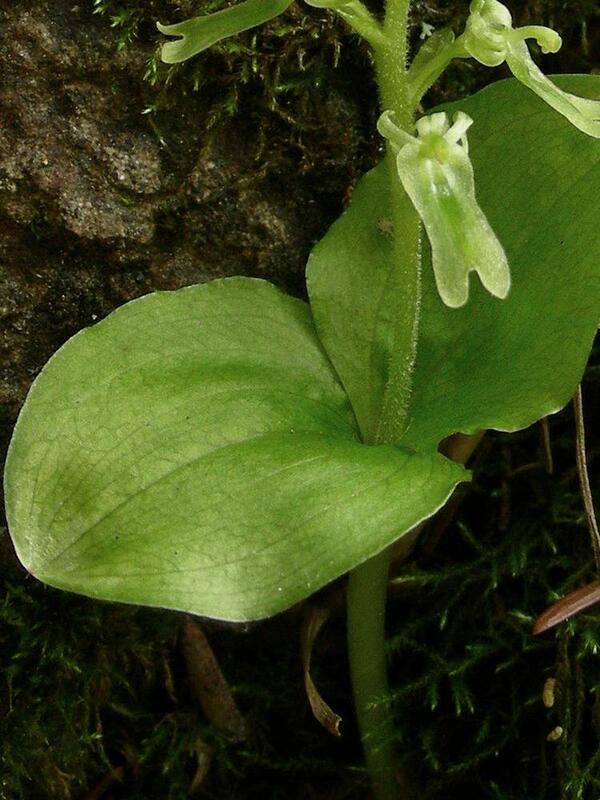 Neottia auriculata is considered globally vulnerable, and is rare in several New England and western states. 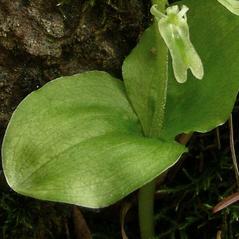 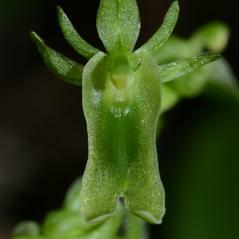 Occasionally, it hybridizes with Neottia convallarioides, producing intermediate plants which can be taller than either parent.